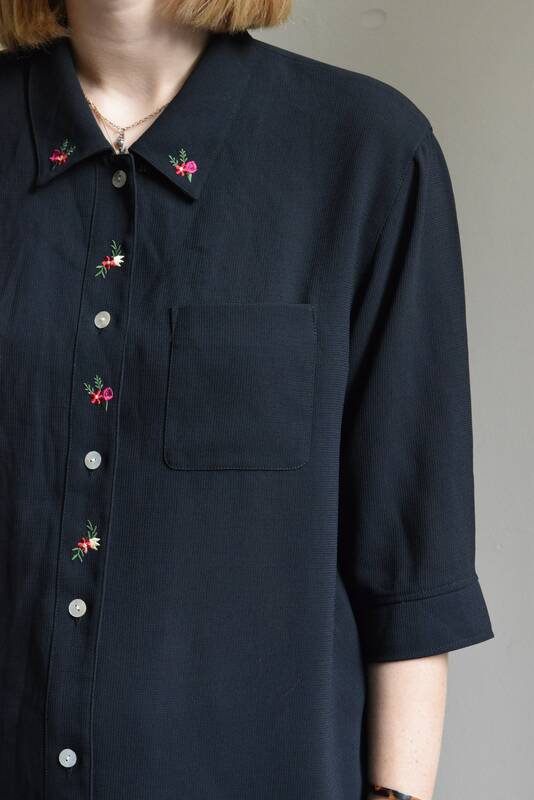 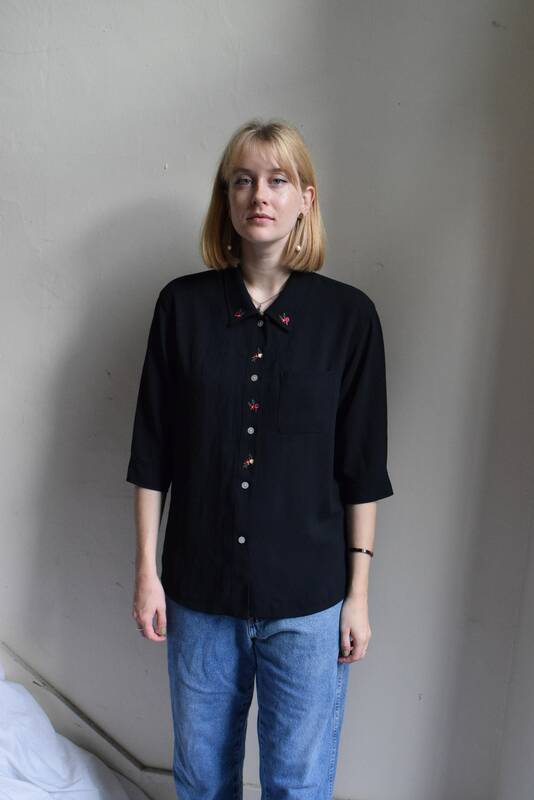 Black button-up blouse embroidered with collar and long sleeves. 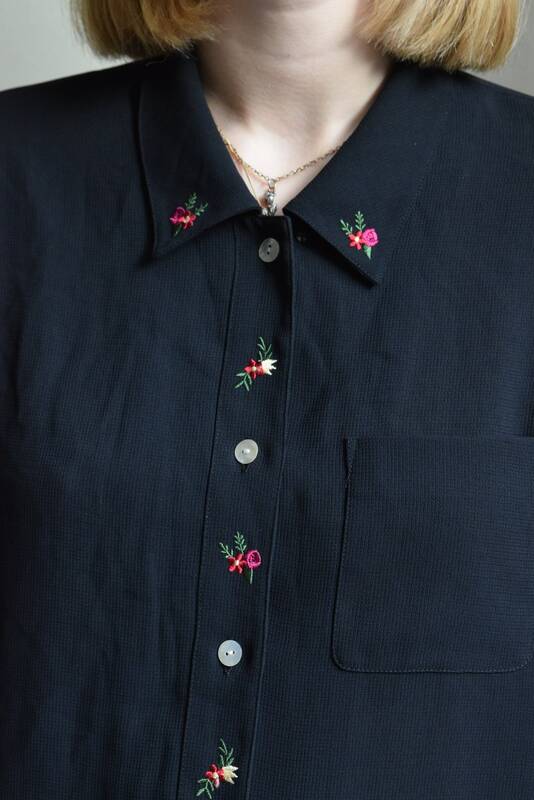 Flowers embroidered on collars and between buttons. 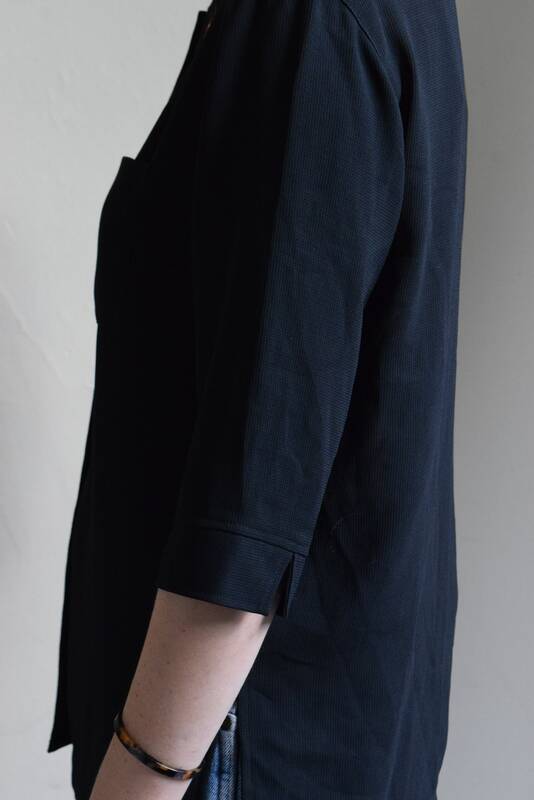 Relaxed fit, lightweight material, very slightly sheer. 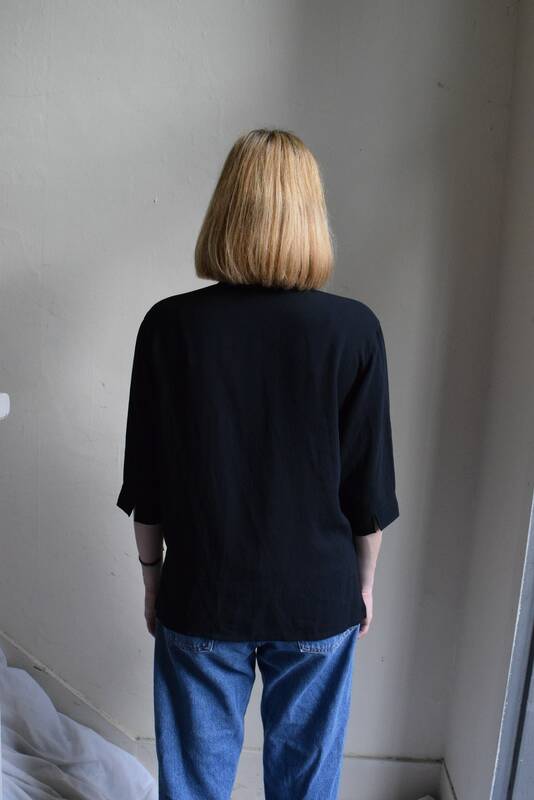 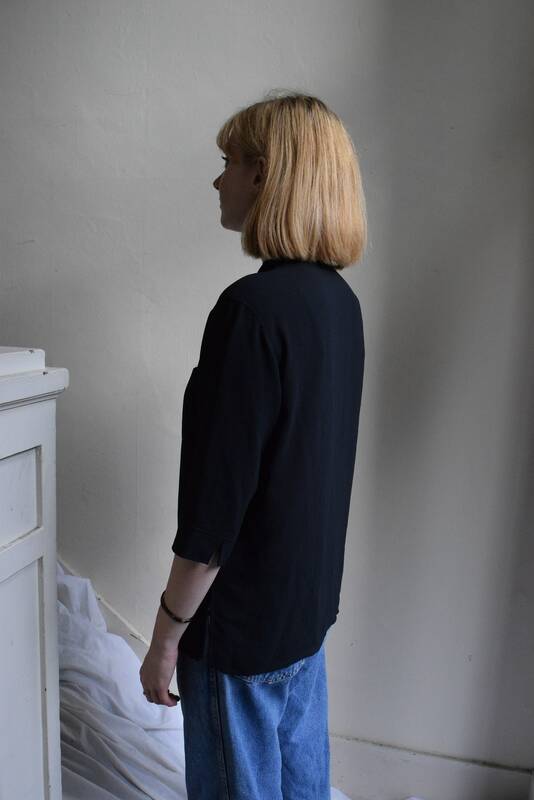 Shoulder width 21.5" || Sleeve length 23" || Bust 46" || Waist 46" || Hip 48" || Length from back of neck 29"